For many of you, the recent history of the NSATA is already a thing of the past but I want to take a quick moment to reminisce with you. (Youâ€™ll understand why soon). Board members before us have worked very hard to stabilize the organization and loved our awesome profession. They had to get knee deep in the weeds and were the ones who were responsible for all of the planning, work, and evaluating â€“ constantly scrutinizing every expenditure, every decision, every move. I mention all of this because to forget this and to lose gratitude for that time and effort would be short sighted of us and lead us right back to the weeds. It would also be a terrible thing if we chose by inaction to head back to that stage. Because Iâ€™ve had the good fortune to be part of a board that was coming off of survival and stabilization and has now shifted to engagement and strategic planning, I understand how fortunate we are to be at this crossroads. There are so many fun things happening right now and you see them now in our newsletters, on our website, or on social media. As a board weâ€™ve been solidifying some of the stability factors like selecting an investment firm, starting the investigation into working with a PR firm, and laying the foundation of meeting with legislators and others in our communities that can align or support our issues. However, one of the most powerful opportunities I feel our board has is the strategic planning retreat weâ€™ve scheduled for January. Weâ€™ll be working with an outside consultant to really dive into preparing our organization to see continuity as boards change, take advantage of opportunities that are at our doorstep, and plan for continued growth. I canâ€™t express enough how excited I am to be part of this process! The reason understanding where we came from and planning for the future is important is because there are lots of things happening in the world of athletic training right now that are creating a monumental shift. There has been a stream of terrible news surrounding athletic related deaths, concussion issues, and other sad situations as well as a big change in our education process. I know it sounds callous, but these unfortunate situations also present opportunities for us to champion the work of athletic trainers. That will come with challenges though and the NSATA has to be positioned to support the shifting times as well as support the professionals we serve (you!). It sounds great to think that all schools might someday require athletic trainers, but do we have the work force to meet that need? Are there other professionals that may see this opportunity and step in ahead of us? What about treating in conjunction with other sports medicine professionals as their roles change? These are just a few of the questions that are before us and we have to look into the future and be intentional about what we do as an organization. Being part of the NSATA is truly a labor of love, as I think it is for all involved, so that is why I get so passionate about the organization and our future. I also want it to be an association that works for itâ€™s members, so please reach out to me if you ever have ideas or concerns, want to get involved, or need anything. You can also follow me or tweet at me on Twitter – @NSATAPresident. Thanks so much for a piece of your time this busy holiday season. Bill, Ruby and I hope you experience much joy this Christmas! Committee would like to receive all nominations by December 11, 2015. Thursday, December 31, 2015 (but the sooner, the better). your service and representing the NSATA while providing outstanding medical care for Nebraska’s student athletes. information for each of the site coordinators. organization (national, district, state), please nominate them today. The new deadline is December 31st, 2015.
for more nomination information and forms. positions and internships will be starting to become available. RSVP by December 14, 2015 so we can give the theater and the Kleber’s a head count. there may a group discount, but otherwise plan on standard movie prices. Please visit the website at http://www.nsata.org/home/concussion-movie-rsvp/ to RSVP for both the movie and social. for making the RSVP and other information available on the website. The NSATA Executive Board is currently requesting members interested in chairing the NSATA Public RelationsCommittee. Below includes the responsibilities and duties of the PR committee chair. community, and general public in the State of Nebraska. The Chair of this Committee shall serve as a member of the Hall of Fame Committee. Engage NSATA members in continued development of the PR committee. Post and monitor all social media outlets of the NSATA. Collaborate with all NSATA committee chairs to promote the profession of Athletic Training and NSATA events. Collaborate with the NSATA EB secretary to post all appropriate communications via social media. Plan and organize NSATA sponsored events related to NATM (March). 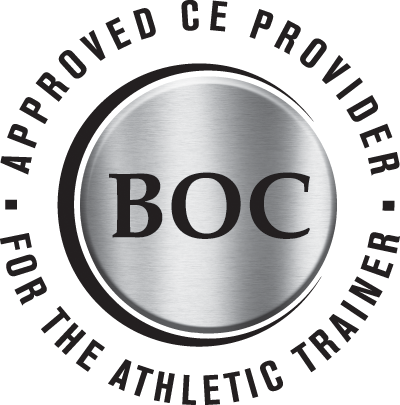 Secure and collaborate with outside PR firm to promote the profession of Athletic Training. Manage and distribute press releases and other communications related to Public Relations. Report on all Public Relations committee activities quarterly to the NSATA EB. Plan and submit annual budget to NSATA finance committee. Other duties as determined by the NSATA EB.